Electronic containment systems for dogs is a highly debated topic. Some pet owners preach about how well they work to protect our pets from getting into serious accidents. Others say they may be dangerous. It's true, however, that because of their concept, it's important to find the highest quality best wireless dog fence that's accurate and safe for dogs, so that's what I set out to do for this round-up. * Click on the best wireless dog fence for more information, prices and details. 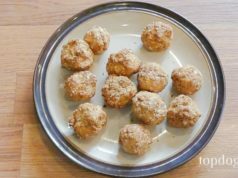 Alternatively, scroll down below to read my reviews. It's true that electronic dog fences aren't for everyone, but if you're willing to learn the proper and humane way to use them, they will give you the peace of mind in knowing that your pet will not leave the yard and get into some accident. In fact, if you use them properly, your pooch may not even get an electronic correction, ever. Even the best wireless dog fence products have their pros and cons. Most importantly, pet owners need to learn about their safe use – like any other piece of dog training equipment, it takes time and consistency to teach your dog his boundaries. You can't just equip your home with an electronic containment system and let your Fido learn his boundaries on his own by getting shocked over and over again. That's incorrect, cruel, inhumane, and not how invisible dog fences are meant to be used. There are many reasons why a dog owner may need to purchase an electronic containment system for their pet. The first reason that sticks out to most people is the cost. It's a lot more affordable to buy one of these best wireless dog fence products than it is to install a traditional fence around your property line. You also may be required to use one of these systems for aesthetic reasons. If you live in an urban environment, your Homeowner's Association may not allow for a visible fence to be put up in the yard. Likewise, if you live in a rental property, your landlord may not approve of a visible fence either. Like every other product on the market, all wireless dog fences are not created equally. And, because these products correct your dog with a physical stimulation, you need to be especially careful when choosing the right option for your pet that's going to be very accurate and safe. First of all, you need to ensure that the system you choose is reliable and consistent. One of the most common complaints from pet owners who purchase electronic collars and invisible dog fences for their pets is that they shock their dog when it's not appropriate. Take a look at the infographic on the right that points out some of the advantages and disadvantages of the best wireless dog fence system. There are several more things to consider. For example, because wireless systems send signals through the air, poorer quality systems can be unreliable. They may shock your dog when he's lying on your living room floor or when he's 10 feet away from the boundary line. Obviously, this inconsistency is not going to teach your dog anything about boundaries. It's only going to teach him that his new collar shocks him sporadically throughout the day. This will either cause him to become scared of his surroundings or angry and aggressive. Research found that it's the major problem with both wireless dog fences and general dog training collars, mostly caused due to pet owners not knowing how to use these tools properly. You also need to ensure that the size of the invisible dog fence is going to be satisfactory for your pet. For example, a system that fences in an area that is 100′ X 100′ would be fine for a small breed dog with a low activity level. However, if you have a Great Dane that loves to run and play, or some other large or medium sized breed that's very active, this isn't going to be nearly enough space and eventually cause problems. The best wireless dog fence products come in sizes ranging from 1/4 of an acre to multiple acres. The manufacturer will point these numbers out, and the best companies will be very accurate in terms of this range (while cheap ones will often overestimate). Of course, the larger area you're fencing in your yard, the more expensive the wireless dog fence system is going to be. Most companies allow to start with the basic equipment and small radius, and then buy add-ons to expand the area as needed. For more information on wireless dog fences, I recommend reading our article about the pros and cons of these wireless dog fence systems, and a few important aspects you must consider before even deciding to buy one. It explains the good, the bad and the ugly about this kind of dog containment system, and it will help you decide whether this type of fence is right for you and your pet. Of All the Options, Which One's the Best Wireless Dog Fence to Buy? I've done hours of research, testing and reviewing of different containment systems when preparing for this round-up article. My goal was to find at least ten of the best wireless dog fence systems available, and I'll be sharing the pros and cons of each model down below. I've found the best systems for multi-pet households, for pet owners with a large yard and even the best option for families on a budget. My overall top choice is the PetSafe Wireless Fence Pet Containment System. This is my top pick for the best all-around system that's also affordable and won't cost you an arm and a leg. It's ideal for single-pet families or those with multiple dogs. It's very easy to setup and can be taken along when camping or traveling. You can also buy some add-ons as needed if you get a new pet and wish to expand. However, if money is not an issue and you're looking for the absolute best wireless dog fence system that you can currently buy, then the very popular product among pet owners called Extreme Dog Fence, beats out all the competition. I didn't rate it higher on the list because my priority was to pick the best wireless dog fences that pet owners can still afford on a budget, and the Extreme Dog Fence is the most expensive product out there. It also has the most equipment, and is the best reviewed fence by pet owners. With that out of the way, let's look at the finer details and discuss all of these pet containment systems. I'll also explain all about the different features of each best wireless dog fence system, including my top PetSafe system pick, and I'll show you some other great alternatives if you're looking for different features. After hours of research, culling through hundreds of product reviews and testing some of these pet containment systems with my own dogs, I've chosen my picks for the 10 best wireless dog fence systems currently available on the market that are affordable for pet owners on a budget. As I was researching the best wireless dog fence options to pick for my own testing, there were a few features that I quickly realized would need to stand out. I found out that consistency is a major issue when it comes to these products, and I will not recommend any product that could injure a dog or cause him emotional distress. Any electronic dog containment system also needs to be easy to use and set up for owners. If it's a struggle just to get the system set up, what are the odds that the pet owners is going to stick with using it. Not to mention how the owner will feel if the system is difficult to use. If it's more work than it's worth, it's not going to be beneficial to any dog owner. Finally, I knew that any system I was going to recommend had to be comfortable for the dog. Not only does this include a comfortable collar, it also means that the correction levels will be comfortable. The vibration and electronic shock stimulation need to be able to be increased or decreased depending on the size of the dog. Finally, the best wireless dog fence options have to be affordable for pet owners on a budget. Any electronic product is going to be fairly pricey, but it's more about the value of the product than it is about the one time expense. We're all on a budget, but spending a few hundred dollars on a system that will last for 10 years or more is much more affordable than buying a system for $80 that will only last for a year or two. I'm certainly no expert on electronic containment systems for dogs, and I'm not associated with any companies that manufacture or sell them. However, I have been using different dog products for decades and have been reviewing pet products for more than 5 years. During this time, I have tested thousands of pet products! I've been a dog owner since I was born and a freelance writer on all things dog for nearly a decade. This has allowed me to polish my researching skills and develop an eye for what to look for in pet products, how to rate and rank them in terms of price-to-value ratio and more. As you well know, purchasing products for your own pet can be a chore. Over the years, I have become an expert at making smart purchases for my dogs. Quality is always my top concern, and I compare the price to the value of the product to make sure that my money is well spent. That's what I bring into these dog supplies reviews, ensuring that anyone looking for a good dog product doesn't waste their hard earned money. When I do these reviews, I research the products as if I were buying them for my own personal use. 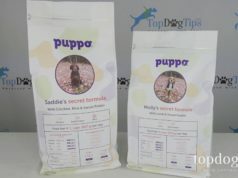 I want to make sure that the products that I recommend are top quality and will last throughout your dog's lifetime. I take this responsibility very seriously. Now that you've heard about my credentials and the importance of purchasing a containment system to keep your pet safe, here are my top 10 picks for the best wireless dog fence and electronic containment systems. I have to start out by telling you that this is the wireless pet fence that I've been using with my dogs for many years. We've had large dogs (like our Labrador) and smaller breeds (like our Beagle mix), and this fence has worked well for all of them. I tried many different wireless fence products before we settled on the PetSafe Stay & Play Wireless Fence. At first, I thought we could get away with a cheaper version, since our dogs understood boundary training very well. They would only leave the yard if something really exciting, like a squirrel or stray cat, caught their attention. Take it from someone that has already tried multiple cheap electronic containment systems – you're better off just buying a more expensive product from the beginning. Cheap systems (and I'm talking about electronic containment systems that cost less than $100) use simpler technology and lower quality materials. Because of this, they are not as consistent and may shock your dog when he isn't even near the boundary. Likewise, these cheaply made products may alert your dog with an audible alarm at varying intervals from the boundary. This will make it impossible for your dog to learn where the actual boundaries are. This is, by far, the most consistent and best wireless dog fence that I've ever used. For me, this is one of the best wireless dog fence options because there is no wire to bury. You simply plug in the receiver to an electrical outlet and your wireless boundary is instantly set. The adjustable range can cover up to 3/4 of an acre of land. You can set the range to cover up to 105 feet in a circular direction around the receiver. It's easy to take with you while traveling, providing your going somewhere that has electricity. There is also an alarm that will go off if the power is lost to the system. If the receiver gets unplugged by mistake, you'll instantly hear the alarm so you don't need to worry about your dog leaving the yard. I was also impressed that this system from PetSafe allows you to add an unlimited number of pets, as long as you buy them all their own receiver collar. Many of the best wireless dog fence options only let you add 2-3 pets on the same system. The waterproof receiver collars are rechargeable and offer 5 levels of correction. The first is only an audible tone for training, and then there are 4 levels of static correction. I love that there is an option to only emit an audible tone! Once our dogs were trained on this system, they respected the boundaries and returned back to the house when they heard the audible tone. Now, their collars are only set to make the tone with no static shock. I don't have to worry about them getting shocked on accident, and that gives me a great peace of mind. Just to clarify, when the collar is set on static correction it also makes an audible tone before your dog reaches the boundary line. If he turns around before reaching the line, he won't get shocked. If he continues and crosses the lone, the static shock will briefly activate. This version is just as reliable as the wireless one, but it does have a physical wire that needs to be buried underground. I much prefer the simplicity of the wireless version, but this one definitely has a few advantages over that option. With the wireless version, you can only cover 3/4 of an acre of land. In order to cover more, you'd need to buy multiple systems and overlap them. With an in-ground fence, you can buy additional wire to cover a much larger space – in this case, the PetSafe Basic In-Ground Fence comes with enough wire to cover 1/3 of an acre and can be expanded up to 5 acres! Another benefit to in-ground electronic dog containment systems is that you can customize the area that you enclose. For example, if you have a pond, flower garden or other space in your yard that you don't want your dog to go, you can set up a perimeter around it with underground fencing. Thus, your dog will be contained within the boundaries of your yard and will also be kept out of unwanted areas.Another feature that lands this on my list of the best wireless dog fence and electronic containment systems is that it is equipped with a surge protector. The rechargeable collar receiver is waterproof, which is great for rainy days or pups that like to swim. The battery should last about 1-2 months, depending on use, and the collar is equipped with a low battery indicator. Like the wireless system from PetSafe, this one offers 5 levels of correction. The first is just an audible tone, and the other 4 are increasing levels of electronic correction. This type of electronic containment system is run by a remote control, you have to be watching your dog at all times in order for it to be effective. It's definitely not the most convenient containment system, but it's more affordable than many of the other options on this list. A remote control system also allows you to train your dog using verbal cues as well as the audible and static corrections. The EliteField Dog Training Collar is also completely portable, meaning you can bring it with you anywhere you may travel. The remote has an impressive range of up to 660 yards. One remote can control up to 3 collars, so this system is still an option for multi-pet families. The receiver collars are suitable for dogs weighing 15-120 pounds, so this isn't one of the best wireless dog fence and electronic containment systems for small dog breeds. It allows you to vary the electronic stimulation on 12 levels, making safe for all size dogs. The collar receiver is waterproof, and the remote is water resistant. Both the collar and remote are rechargeable. This system offers 15 levels of electronic correction. That means it's suitable for dogs of any size, which is something that isn't offered by all of the best wireless dog fence options. It is recommended for use on dogs weighing more than 20 pounds, but some reviewers have stated that they've used it on smaller pets. This system also features an audible tone correction that is ideal for training your pet to stay within his boundaries. As one of the best wireless dog fence options, there are no wires to bury. You can set the Motorola Wireless Fence up within just a matter of minutes. Another great benefit of this system is that it can be installed indoors or outside. The Motorola Wireless Fence can cover up to 1 acre of land, but some reviewers have noted that the range may vary if there is not a clear line of site between the transmitter and the collar. This is a common problem with all of the best wireless dog fence options, so be sure to read the instructions carefully before installation. This option can only be used to contain up to 2 dogs, but it is easily portable as long as your destination has electricity. My favorite feature of this product is that it includes a rechargeable battery pack that can power the unit for a short time in the event of a power outage. This option comes with enough wire to cover 1.2 acres of land, and you can purchase additional wire to make the coverage area larger. This is another in-ground fence system, so you'll need to secure the wire in or on the ground. Yes, I said on. The wire can either be buried or secured along the top of the ground with boundary staples, which are not included with your purchase. 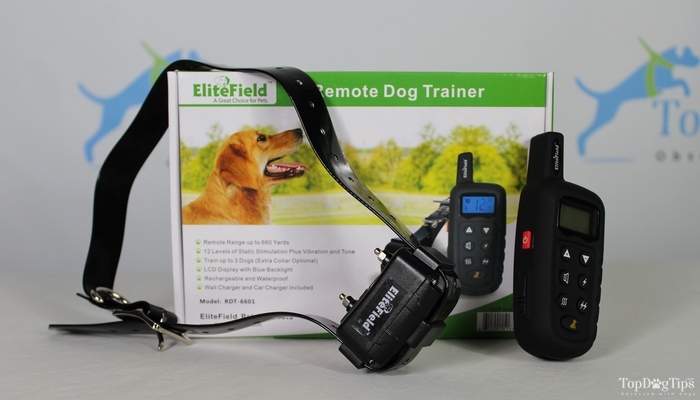 The collar that comes with this system is equipped with a rechargeable and 100% waterproof receiver. The receiver has 5 different electronic correction settings, and pet owners who have been using the Sit Boo Boo Hidden Dog Fence for years have been very pleased with its reliability. Customers complained about the original version of this fence, saying the wire was not strong enough and the signal was not reliable. The company took these complaints very seriously and made some impressive improvements to the underground wire. It is now much stronger than before, and customers note that they no longer have trouble with broken wire. They also say the signal is much stronger and more reliable. It won't be one of the easiest to install, as this is an in-ground fence, but this product is extremely reliable and effective. The wire for this fence can be buried under ground or secured to the top of the ground with boundary staples, which aren't included in your purchase. The receiver collar offers an audible tone correction for training purposes and five levels of static correction. The Dog Zone In-Ground Electronic Fence only comes with one collar, but you can purchase additional collars if you have multiple dogs. The system comes with enough wire to contain 500 square feet of space, and you have the option of purchasing enough wire to contain up to 10 acres of land if you need to. Remember, because this is one of the best wireless fences and electronic containment systems that uses an in-ground fence, it is 100% customizable to your yard and any areas that you don't want your pet to explore. If you just looked at the price of this fence system and can't figure out why the price varies so drastically, let me explain. You can order this system in varieties for 1-5 dogs. You can also order between 500 and 5,000 feet of wire. Depending on the length of the wire and the number of dogs you need to contain, the price will vary. It's also one of the best wireless dog fence systems out there (if you discount the expensive price tag), and the most well-reviewed by pet owners, by far. 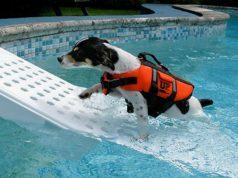 Personally, my favorite feature of the eXtreme Dog Fence Inground Fence for Dogs is that the receiver on the collar is 100% waterproof and can be submerged in up to 100 feet of water! That's deeper than any other system that I've ever researched. This is absolutely one of the best wireless dog fence and containment systems for pets that are active in a pool or pond that is on your property. Another great benefit with this system is that it is made in the USA. While you will have to deal with the struggle of burying the wire around your property, this system comes with a 10-year warranty on the electronics and a lifetime warranty on the wire. While it's much more versatile than many of the other best wireless dog fence options, it's also much more expensive. This popular wireless dog fence system has a 10-year warranty and the company maintains great reputation. Their warranty is 10 times as long as most competing best wireless dog fence systems out there! All the parts are made in North America, which is a rare claim in the electronics industry with many other items being made in China today. Now, eXtreme Dog Fence definitely has a ton of amazing and unique features, and pound of pound it's the best wireless dog fence system. However, the reason it's ranked lower is its price tag, which is significantly higher than most other options. The 1 dog system with 500 feet of fence costs nearly $350 and when you need more fence for more pets, the prices quickly goes up. This is another system that becomes more expensive as you add more collars to contain multiple dogs. This system gives you the option of containing 1-3 dogs, and it's actually a containment system and a no-bark system in one. How can it do both you ask? It's an in-ground system and a remote controlled system! That's right. You will need to bury the wire or secure it with boundary staples (not included) around the boundary that you want contained. The collar will beep and then send a shock correction as your dog approaches the boundary. However, you'll also have the option of controlling nuisance behavior with the remote control included with the Pet Control HQ Electronic Dog Fence System. The included collar with the receiver will fit dogs weighing approximately 11-154 pounds with a neck circumference of 8-27 inches. It provides three levels of static correction, which may be too strong for the smallest dogs and too weak for the largest dogs in this range. Another benefit of the receiver collar is that it is waterproof in up to 3.3 feet for up to 30 minutes. Rounding out my list of the best wireless dog fence options and electronic containment systems is this wireless system from Simple Pet. Like the wireless system from PetSafe that ranked #1 on my list, this one has an adjustable containment radius. You can adjust the circular boundary from 5-700 feet in every direction. Unfortunately, the larger you make the radius, the more unreliable the system becomes. The transmitter is rechargeable and has a high capacity battery that is said to run for up to 25 hours on one charge. The Simple Pet Wireless Electric Dog Fence is a great system to take while traveling or camping when there is no electricity available. The receiver is rechargeable as well and emits an audible warning tone and 4 levels of electronic correction. The receiver is also waterproof, and you can purchase additional collars if you have a multi-dog household. The biggest drawback to this fence system is that the collar only fits dogs weighing between 8 and 20 pounds, and the receiver is attached to the collar. This means it's only suitable for small- and medium-sized dogs. Also, pay attention to the reviews of this dog fence from other pet owners – there's a number of complaints about the poor collar system among a few other issues. Previous articleDog Isn’t Playful Anymore: What Could Be the Problem?